Sharpening chisels is the job that everyone hates; it time consuming and difficult. Now there’s a great little tool that makes it quick and easy. Simply enter your details into the form to be included in the prize draw and you could have this amazing Sharp Edge chisel sharpener. This competition is open to anyone over 18; there is no purchase necessary. Please see the full T&C’s here. The winner will be selected at random from all entrants. This competition closed on Monday 7th September 2015 at 2pm. 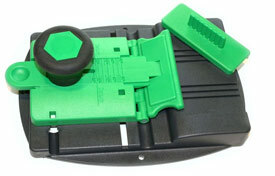 If you would like to know more about this fantastic piece of kit, find the G Sharp chisel sharpener in our store here.